Dear Jesus, I praise and thank you for your love, and for pouring out your mercy upon me. I place myself into your loving presence, Jesus. I ask you to come into my heart - to be the center of my life. Jesus, I am truly sorry for all my sins and humbly ask for your forgiveness - for you are all loving, merciful and deserving of my whole heart and all of my love. O’ Merciful Jesus, come with the riches of your Divine Mercy. Send your spirit of healing into the brokenness of my heart. Lead me out of the darkness and into your light - for I desire to follow you. Lord Jesus, you know who I am. Please take my heart. I surrender my life to you. My heart longs for your love. I wish to be loved by you and to share your love with others. Open my heart, Lord. Please give me the graces I need to truly trust in you. Merciful, Jesus, I do believe in your love for me. Help me in times of my unbelief and draw my heart to yours. Help me in the storms of my life. Protect me in the midst of danger and comfort me. Come into my heart, Lord. Give me the grace to trust in your love for me - beyond my fears, beyond my doubts - so that I may follow you wherever you may lead me to go. Jesus, I trust in you… Jesus, I trust in you… Jesus, I trust in you. My hope is in you Lord - no greater love have I ever known than your love for me. Dear Lord Jesus, you know our hearts. You know how much we love you and want to follow you. In your love for us at the foot of the cross, you gave Mary, your holy mother to us to be our mother and for us to be her spiritual children. 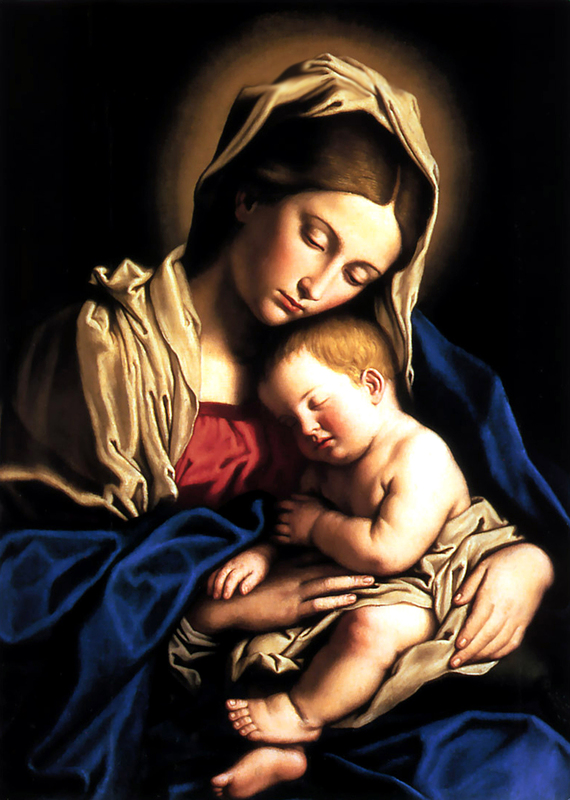 Thank you, Lord, for this beautiful gift of love - the gift of Mother Mary. Dear Mother, I your loving and trusting child, come to you now to consecrate my heart, and entrust my life to you. Dear Mother, please continue to lead me to Jesus and to the riches of His Divine Mercy. Help me continue to have a loving and trusting friendship with Jesus. Obtain for me the graces I need to follow Jesus and to remain constantly faithful to His infinite love. Draw my heart ever nearer to your son, Jesus. Continue to intercede for me - for the grace to truly love God with a pure heart. Help me, dear Mother, to love myself and others the way God loves us. Holy Mary, Mother of Jesus and our Mother, help me with the conversion of my heart, and with the sanctification of my soul. For wherever you enter Merciful Mother, you obtain the grace of conversion and growth in holiness, since it is through your hands that all graces come to us from the Merciful Heart of your Son, Jesus, Our Lord. O Immaculate ever-virgin, Mother of Mercy, I place myself into your loving hands under your special protection of your Immaculate Heart. I consecrate my heart and entrust my life to you and all that I have under your title, Our Lady of Mercy. O’ Merciful Jesus, make me an instrument of your Divine Mercy. Teach me to love and show mercy to others out of my love for you. Help me sweet, Jesus, to grow in your love and to love others as you love. Teach me to minister to the poor and to people in need. Help me to feed the hungry; Give drink to the thirsty; Clothe the naked; Minister to the sick and assist those who are lonely. O Merciful Jesus, I pray for our youth, especially for youth who are alone and feel unloved, lost, and forgotten. Jesus, if you wish to use me as your instrument of Divine Mercy for those youth in need, I say, “yes”.